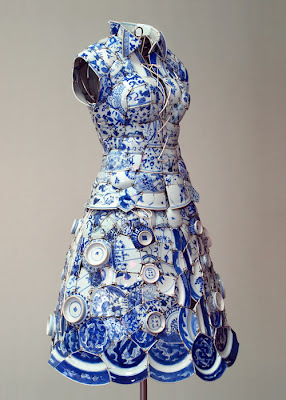 Anyway, the 85,000$ dress entitled Beijing Memory was a true hit in the art world. I see a pattern forming here, a new love for the ancient material from the other side of the Earth: porcelain. Karl's Music Travels in Style! To Cut, on Not to Cut? Ummagumma is On the Web! This Winter Smells Like Roses! How to Become a Famous Fashion Designer! I'm From the '80s! You?